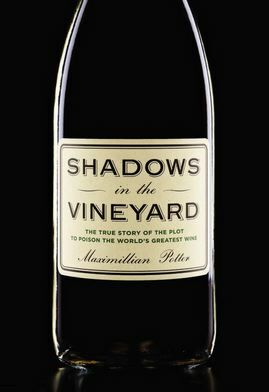 Shadows in the Vineyard: The True Story of the Plot to Poison the World’s Greatest Wine The title describes the theme of this fascinating book, but there is considerably more content than the sinister plot to poison vines in the Romanée-Conti Vineyard for ransom in 2010. The book also details the complex history of the Domaine de la Romanée-Conti in a thoroughly researched vivid account that will captivate anyone who has even a passing notion about this revered Burgundy Domaine and its famed proprietor, Aubert de Villaine. I couldn’t put the book down. Paperback, 289 pages, 2014, $16. 2017 World of Pinot Noir All tickets are now on sale for the 2017 World of Pinot Noir, March 3-4, at the Bacara Resort & Spa, Santa Barbara. Taste wines from over 200 wineries hailing from Burgundy, New Zealand, Oregon, and all major Pinot Noir growing regions of California. Two days of tastings, seminars and dinners: Hirsch Seminar and Tasting, Kosta Browne 20th Anniversary Dinner, Louis Latour Tasting & Dinner, Rosé Lunch, Edna Valley Winery Collective Dinner, Sparkling Brunch, Cheese Seminar featuring Sonoma Wines, Vintage Burgundy Dinner with the Guild of Sommeliers, Rock Stars of Pinot Noir featuring Merry Edwards, Hitching Post Vertical Tasting & Barbecue, Friday and Saturday Grand Tastings. Purchase tickets now at www.worldofpinotnoir.com. Weekend passes are $1,150, but tickets may also be obtained for individual events over the weekend. Joseph Phelps Vineyards Closes Freestone Guest Center Hospitality efforts have now been focused exclusively on the recently renovated historic winery in St. Helena, Napa Valley. The guest center in Freestone, CA, will close effective January 1, 2017. Phelps is fully committed to the winemaking facility and estate vineyards in Freestone. Joseph Phelps Vineyards in Napa Valley is open seven days a week by prior appointment, offering a variety of wine tasting experiences. Visit the website for information at www.JosephPhelps.com. 2016 Harvest in California Promising The 2016 wine harvest offered average yields but exceptional fruit according to the California Department of Food and Agriculture. The Wine Institute reported a mostly normal yield of exceptional quality throughout the state. Welcome winter rains helped to minimize the impact of the drought on wine grape crops. The state’s 2016 wine grape crop is expected to be about 3.9 million tons. Like vintage 2015, the harvest started early and finished early. 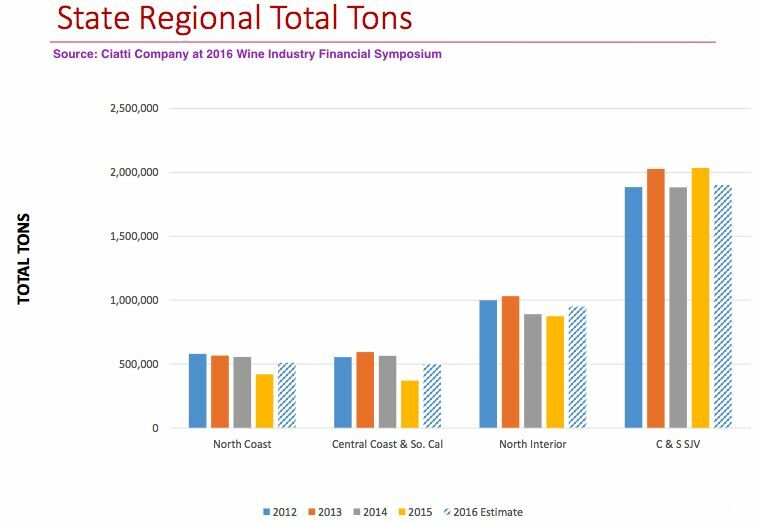 California shipped an all-time high of 229 million cases to the rest of the United States, representing a 60% share of the United States wine market. An additional 47 million cases shipped to global markets, with the European Union being the top destination of wine exports. California wine contributes $57.6 billion annually to the state economy and $114 billion annually to the United States economy. (Photo of harvest worker: GRose & CaliforniaWine Institute). Sunlight Into Wine In the United States, the average 750 ml bottle of wine costs $15.23 according to SHAREaCAMPER Wine Price Index of 66 countries. Wine Deal Advisor No one has time to scour the internet for the best deals on wine. That’s where Wine Deal Advisor comes in, launched by a long time reader of the PinotFile. The website at www.WineDealAdvisor.com provides wine buying advice and wine deal purchase recommendations to consumers. Every day, Rick Dyer and his partner reviews the wine deals available from retailers across the U.S. and then provides analysis of each deal along with recommendations on which deals to buy and which deals to skip and why. Subscribers are also given the capability to search for the exact wine deals they want based on any combination of location, varietal, winery, wine scores, price, or percentage discount. Rick does not sell wine or benefit in any way from what or where a wine is bought so the reviews are totally objective. Subscriptions are priced at $24.95 for 6 months or $39.95 for 12 months. A 10-day Free Trial is also available. Besides the subscription service, the site also offers a list of recommended wines, wineries and vintages. It is called “Rick’s Picks,” and is available to view or download at no charge to anyone who visits the website. Freeman & August West Wine Cruise Ken Freeman of Freeman Vineyard & Winery and cohost Ed Kurtzman of August West Wines invite friends, family and fans on a Food & Wine Trails 7-day private cruise from Barcelona to Rome aboard Oceania Cruises’ Riviera in May, 2017. The cruise will offer private tastings and comparisons of Freeman and August West wines with the wines of Spain, France and Italy. There will also be a welcome reception and winemakers’ dinner. Optional wine related shore tours are also offered. For further information or to book your stateroom, call Food & Wine Trails at 800-367-5348. MacPhail Converts Winery to Custom Crush Facility In late 2016, James announced that he was converting his Healdsburg winemaking facility into a custom crush facility called Grapewagon Custom Crush. At least 13 vintners will produce wine here, including the MacPhail's own Tongue Dancer Wines Pinot Noir brand. James MacPhail no longer works for the MacPhail Family Wines brand that is owned by The Hess Collection. Colin MacLauchlan was hired to oversee crush operations. Colin was previously the cellarmaster at Littorai Wines and has been an assistant winemaker at Zepaltas Wines in Santa Rosa. Pali Wine Co. Opens Tasting Room in San Diego Pali Wine Co., a producer of Pinot Noir and Chardonnay premium and value-priced appellation wines from California and Oregon, has opened a tasting room in San Diego’s Little Italy district located at 2130 India Street. The tasting room features Pali’s diverse lineup of Pinot Noir and Chardonnay wines, as well as Rhone and Bordeaux varietals from grapes grown in the Central Coast and bottled under the sister label, Tower 15. Also, a rotating selection of eight wines, blended straight from barrel to keg, are available for tasting or for carry out by growler. To accompany the wines, Pali offers creative small plate menu using seasonal and locally sourced produce whenever possible. The new tasting room is open daily. Pali Wine Co. also has tasting venues in Lompoc and downtown Santa Barbara’s Funk Zone. The winemaker is Aaron Walker and consulting winemaker is Kenneth Juhasz. Visit www.paliwineco.com.